Posted November 9, 2018 in News by Tom Bradsell. In areas impacted by California wildfires, DaVita Kidney Care is asking its patients to call DaVita Guest Services at 1-800-400-8331 to check in. In the coming days, our national emergency response team will direct and support our centers in affected areas and route patients to locations that can safely provide dialysis care. DaVita has been communicating evacuation information with patients and coordinating with other dialysis and health care providers to help ensure continuity of care for all patients. DaVita is committed to patient safety and asks that anyone who is in need of urgent medical care or emergency help, please dial 9-1-1. Those needing dialysis care are asked to call DaVita Guest Services at 1-800-400-8331. Dialysis patients in the path of these wildfires are encouraged to use the following resources on DaVita.com. As California’s wildfires spread, we encourage checking this blog regularly for updates on open centers in impacted areas. Currently, all centers in the path of California wildfires are open. Each center’s status is subject to change. Please call DaVita Guest Services at 1-800-400-8331 for the latest information. Tom Bradsell is the Emergency Manager for the DaVita Emergency Management (DEM) team. He specializes in emergency management and is an AEMT/firefighter. 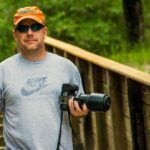 Tom is also an avid photographer and enjoys traveling with his family.